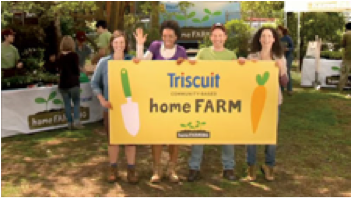 How could we help a brand – in this case, Kraft’s Triscuit — re-position itself and speak to its times in a way that’s also relevant to the brand’s own intrinsic qualities? 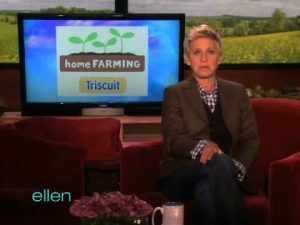 Kraft/Nabisco wanted to re-position the Triscuit brand, emphasizing how it was made from simple, authentic ingredients. The question was, how to make that branding “walk the talk” and become an integrated brand experience and P.R. effort? I led a team in conceiving and executing a yearlong strategy (that ran for several years, in actual execution!) across live events, promotions, P.R. 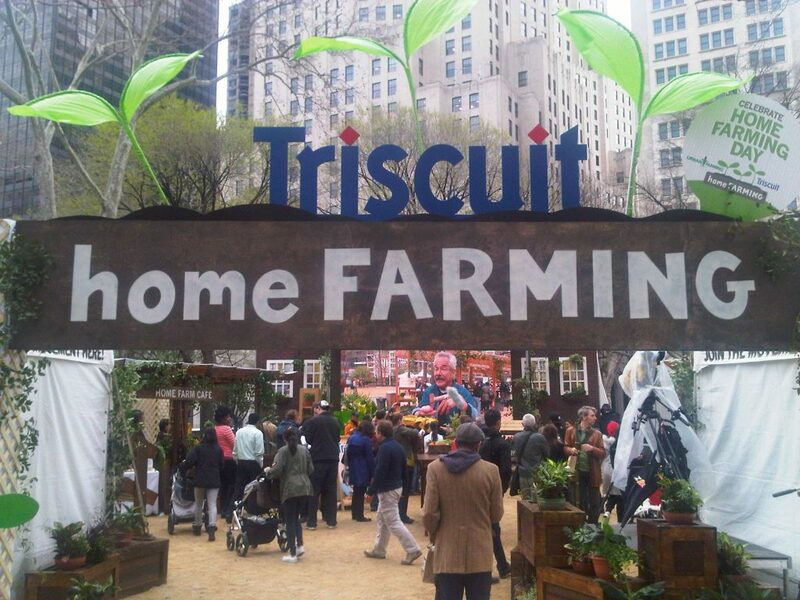 and Web to establish and then promote grassroots involvement by Triscuit with the “home farming” movement taking hold across the country. Working with brand management and internal resources at my agency client, Momentum Worldwide, we crafted a program that engaged consumers in their own backyards by featuring plantable seeds as in-packs (we actually explored embedding them in the packages, but it proved unfeasible), sponsorship of community gardens in cities nominated by consumers themselves, local-level tie-ins with local garden clubs and youth groups and the Future Farmers of America (F.F.A. ), garnering national media attention (thanks, Ellen! 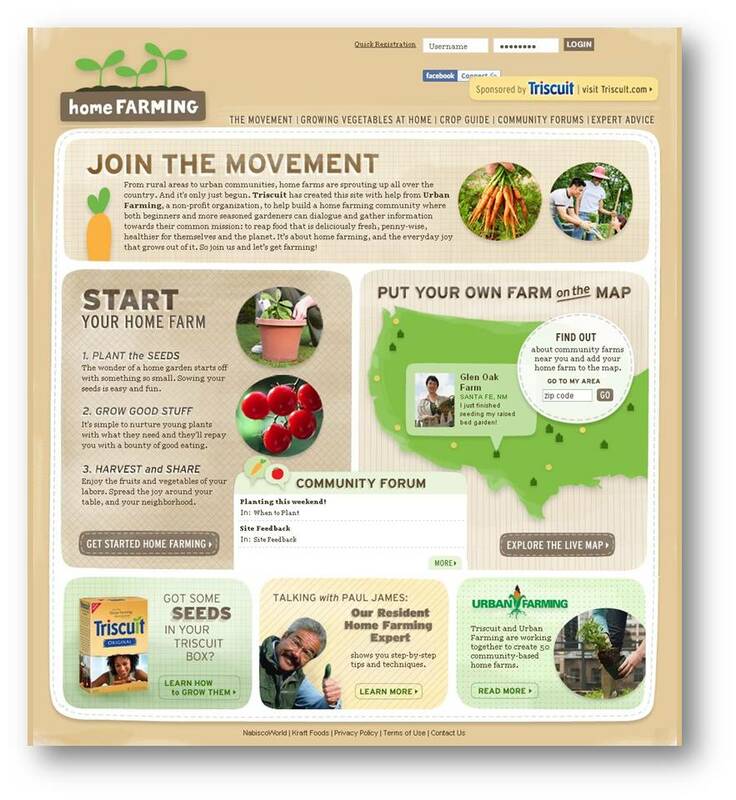 ), a movement-mapping website allowing users nationwide to post their own efforts, get advice and inspiration, and more. 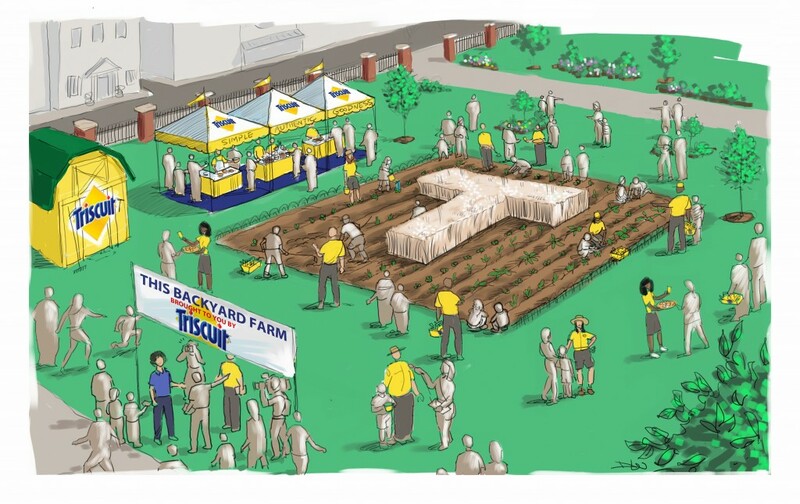 We shifted the brand perception toward a down-to-earth, actualized positioning that was about simplicity and authenticity, demonstrated in real and tangible action.